A friend of mine once told me about his visit to a tapestry shop outside of Cairo, Egypt. They had rooms full of people weaving carpets together. My friend was captivated by the way these thin strands of fabric could be woven with thousands of similar strands to make the complex patterns of the tapestries. The beauty of the strands came to life when they were incorporated into the tapestry. And the book of Revelation is a little like a tapestry. It's full of tiny prophecies that draw much of their meaning from the other prophecies around them. And its message is most clear when we read the book as a whole, and see the big picture it's drawing for us. 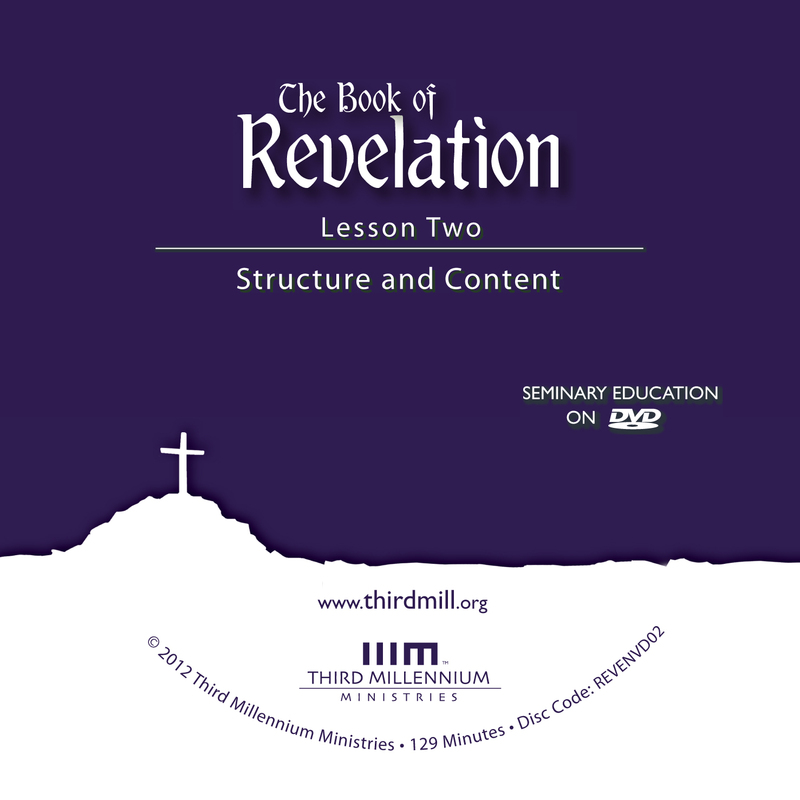 This is the second lesson in our series on The Book of Revelation, and we have titled it "Structure and Content." In this lesson, we'll explore John's book by considering its literary composition and how its various parts fit together. We'll begin our exploration of the structure and content of Revelation by looking briefly at John's purpose for writing. Next, we'll explore the details of the book of Revelation itself. And finally we'll survey some common strategies for its modern application. Let's begin by looking at John's purpose. John's purpose for writing Revelation was almost as complex as the book itself, so we can't explore all its details in this lesson. But we can still summarize his central purposes in this way: John wrote the book of Revelation to encourage suffering Christians to remain faithful until Jesus returns. As we indicated in our first lesson in this series, John's persecuted readers were experiencing numerous temptations to compromise their faith. So, John wrote to assure the churches in Ephesus, Smyrna, Pergamum, Thyatira, Sardis, Philadelphia, Laodicea, and the rest of the world that Christ knew their suffering and would see them through it. Revelation guaranteed that Jesus was already in control of their glorious future, and that he would reward all his faithful followers. In line with his role as God's prophet, John's purpose was expressed in two complementary messages from Jesus to the churches of Asia Minor. First, John delivered offers of blessings for everyone that was loyal to Jesus. And second, he conveyed threats of curses against all who were disloyal. We'll explore both these types of messages, beginning with offers of blessing. I know your afflictions and your poverty — yet you are rich! … Do not be afraid of what you are about to suffer. I tell you, the devil will put some of you in prison to test you, and you will suffer persecution for ten days. Be faithful, even to the point of death, and I will give you the crown of life (Revelation 2:9-10). Far from promising protection from all suffering, John said the church in Smyrna was "about to suffer." But at the same time, he assured them that if they remained faithful to Christ, Jesus would give them "the crown of life." Their suffering and possible death would only be temporary, but their blessings would last forever. This encouragement was important because it oriented John's original audience to the visions that followed. It taught them to read the visions with an eye toward the blessings Jesus will give his faithful followers when he returns. For instance, Revelation 20:4 speaks of the blessing of reigning with Christ. And I heard a loud voice from the throne saying, "Now the dwelling of God is with men, and he will live with them. They will be his people, and God himself will be with them and be their God. He will wipe every tear from their eyes. There will be no more death or mourning or crying or pain, for the old order of things has passed away" (Revelation 21:3-4). This vision of the future should have motivated John's readers to be faithful to God, so that they'd obtain these wonderful blessings. Besides offering blessings to Jesus' faithful followers, John also expressed his purpose in threats of curses against those who were disloyal to Christ. Because you are lukewarm — neither hot nor cold — I am about to spit you out of my mouth (Revelation 3:16). These words strongly exhorted John's readers to repent of their sins and to live in eager submission to Jesus. The threat of being spit out of Christ's mouth vividly warned that flagrant rebellion against Jesus would lead to divine curses. These kinds of threats were included so that John's original audience would read the visions that followed with an awareness of God's curses. As an author, John highlighted these curses many times in order to exhort both false and true believers to repent of their sins. For example, in a number of places John's visions described the punishments that fall on those who worship the beast. These idolaters are crushed in God's winepress in Revelation 14. They're tormented with disease in chapter 16. And they're burned in the lake of fire in chapters 19–21. These verses were genuine threats against false believers in the churches of Asia Minor. But they also would have encouraged true believers to avoid the kinds of behaviors and attitudes that led to God's judgment. Without a doubt, many details of the book of Revelation are hard to understand. But its main ideas are still fairly clear. John's purpose was to encourage his readers to be faithful to Christ even when they were suffering. The offers of God's blessings should have encouraged them to be loyal to Jesus and active in good works. And he threatened them with God's curses in order to drive them to repentance. In one or both of these ways, every image, symbol and scenario in Revelation encourages faithfulness. And if we keep this purpose in mind, it'll help us understand what the book of Revelation meant for early Christians, and what it means to us modern readers too. Now that we've explored the purpose of the Book of Revelation, let's turn our attention to its details. Vision of the bride, the wife of the Lamb in Revelation 21:9–22:5. After the four central visions, the book ends with a conclusion in 22:6-21. The four large visions in the body of Revelation are each introduced with a statement that John was "in the Spirit." John consistently used this language to mark the beginning of new divisions in the main body of his book. On the Lord's Day I was in the Spirit, and I heard behind me a loud voice like a trumpet (Revelation 1:10). At once I was in the Spirit, and there before me was a throne in heaven with someone sitting on it (Revelation 4:2). Then the angel carried me away in the Spirit into a desert (Revelation 17:3). He carried me away in the Spirit to a mountain great and high and showed me the Holy City, Jerusalem, coming down out of heaven from God (Revelation 21:10). We'll explore each major section of the book of Revelation, beginning with the introduction in Revelation 1:1-8. The introduction begins with a prologue in Revelation 1:1-3 that stresses the book's divine authority. It originated from God the Father, was given to Jesus Christ, and was made known through an angel. And as Christ's prophet, John was an authoritative ambassador that relayed Jesus' message to his churches. Verses 4 and 5 contain a greeting, in which John identified himself and his audience. Specifically, he wrote to seven churches in the Roman province of Asia, located in Asia Minor. John also included a greeting: from God the Father, who was described as him who is, who was, and who is to come; from the Holy Spirit, whose fullness or completeness is symbolized as the seven spirits before his throne; and from Jesus Christ, whom John calls the faithful witness, the firstborn from the dead, and the ruler of the kings of the earth. In verses 5-8, John offered praise to God, and this praise revealed some of his central concerns for his audience. John praised God for his sovereignty, convinced that God was working all of history for his own glorious purposes. He praised God for redemption in Jesus Christ, because Jesus' life, death, resurrection and ascension were the basis for every hope John mentioned in his book. And finally, he praised God for the promise that Christ would come again, the great future event when everything God has planned and promised will be fulfilled. After the introduction, we find the vision of Christ and its application to the seven churches in Revelation 1:9–3:22. The vision of Christ begins with a description of Christ and concludes with Christ's letters to the seven churches of Asia Minor. We'll look at each of these sections separately, beginning with John's description of Christ in Revelation 1:9-20. Before describing Jesus, John expressed his unity with his readers by identifying himself as their companion in: suffering, Christ's kingdom, and patient endurance. Suffering has always been a reality for believers. But John insisted that in the New Testament era, our suffering has special significance. Christ suffered as he stood against sin. And because believers are united to Jesus, we suffer too. Even so, whenever we suffer, we have the consolation that God is present with us, and that he sovereignly rules over our situation. In every circumstance — even martyrdom — we're obtaining victory over evil and death through the power of Christ. John also indicated that he received this vision while he was "in the Spirit." This probably indicates that John was in a state of spiritual ecstasy, even though he wasn't physically moved to a new location. This is one of the ways God revealed himself to the prophets in the Old Testament, too, as we can see in passages like Ezekiel 3:12. Finally, John concluded the preface by saying that a voice from heaven commissioned him to write visionary reports to the churches in Ephesus, Smyrna, Pergamum, Thyatira, Sardis, Philadelphia, and Laodicea. John's actual description of Jesus begins in Revelation 1:12. Jesus appeared as the "son of man" walking among the seven lampstands. These symbolized the churches who brought the light of God in Christ to the world still under the tyranny of darkness. The lampstands also would have reminded John's readers of the furnishings in the Old Testament tabernacle and in the temple and of the fact that Jesus is now in the heavenly tabernacle before the throne of God. Already in 1:4, John drew a symbolic connection between the seven churches of Asia Minor and the seven lights of the lampstand before God. In the tabernacle and later in the temple, God manifested his glorious presence among his people. And just as God once dwelled among his people Israel, Christ now dwells among his church. Jesus was also dressed in a robe and sash, resembling the high priest in the Jewish temple. His eyes were like flames of fire and feet were like burnished bronze. His voice was powerful, like the rush of many waters, and a double-edged sword came out of his mouth. And his face shone so brightly with his glory that he was like the sun itself. This appearance showed that Jesus was majestic, glorious, and powerful. Now that we've examined John's description of Christ, let's look at Jesus' letters to the seven churches in Revelation 2 and 3. Christ addressed letters to seven churches located in Asia Minor, which is the western portion of modern Turkey. He arranged the letters in the order a person delivering them might travel. He wrote first to the coastal city of Ephesus, then to Smyrna to the north, then to Pergamum even further north. Next, he looked in a southeastern direction addressing letters to Thyatira, then Sardis, then Philadelphia, then Laodicea. These letters record the words Jesus spoke in his heavenly courtroom, and were designed to help the churches understand and respond to the visions that followed.  In general terms, these letters all follow the same basic pattern, with only slight variations in order. This pattern contains many elements that resemble Old Testament prophecies and reminds us that John was serving as Jesus' prophet to these churches. First, each letter starts with an address to the angel of each church. Some interpreters have taken this as a reference to human messengers representing each church. But in this context of a heavenly vision, it's more likely that these were actual angels that Christ assigned to each local congregation. Second, there's a description of Christ drawn from his appearance in Revelation 1, emphasizing a characteristic of Jesus that's relevant to the letter. Third, there is a claim of knowledge, indicating that Christ knows these churches and the details of their lives. Fourth, there is an evaluation of the church, consisting of commendations and often including rebukes. Fifth, there is a mixture of offers of blessing and threats of curse appropriate to Christ's evaluation of the church. Sixth, there is the promise that all who overcome will inherit eternal blessings. Seventh, each letter has an exhortation to obey Christ. The similarities between the letters in Revelation 2 and 3 alert us to the main ideas in this section. Christ was addressing these churches as their rightful king. He was aware of their present circumstances and had the authority to evaluate them. He offered blessings and he threatened curses to encourage their faithfulness. And he reminded them that eternal salvation was only for those who overcame trials and temptations. Not surprisingly, these themes also play a major role throughout the main body of the book of Revelation. We'll look briefly at each of these letters, beginning with the letter to Ephesus in Revelation 2:1-7. Ephesus. In this letter, John introduced Jesus as the one who holds seven stars in his right hand as he walks among the seven golden lampstands. This description emphasized the light of Christ's glory and power. As their king, Jesus gave a mixed evaluation of the church in Ephesus. They had commendable zeal for sound doctrine, and didn't tolerate wicked behavior. They were specifically said to have hated the practices of the Nicolaitans, a very early heretical group that may have mixed Christian faith with pagan eroticism. But the Ephesian church also received a strong criticism. In Revelation 2:4 Jesus told them that they had forsaken their first love; they had lost their enthusiasm and zeal for Christ and his kingdom. So, Christ warned them that if they didn't repent and return to their earlier enthusiasm, he would remove their lampstand — their symbol of honor in heaven. In other words, they would be disciplined and perhaps even disbanded. The letter to the church at Smyrna appears in Revelation 2:8-11. It opens with a description of Jesus as "the First and the Last, who died and came to life again." This description identified Jesus as the one who created all things, and as the focal point of creation's final destiny. This is one of only two letters that doesn't include a rebuke for wrongdoing. It focuses entirely on sympathy and understanding for the church in Smyrna, which faced serious persecution, probably because of unbelieving Jews. Despite the problems the Jews in Smyrna created for the church, Jesus exhorted his followers to faithfulness, and encouraged them to trust him because he had overcome death. Next, Christ addressed the church in Pergamum in Revelation 2:12-17. In this letter, John introduced Christ as the one who "has the sharp, double-edged sword." Jesus' words are razor-sharp, able to judge between right and wrong. And this was directly relevant because his evaluation of the church was both positive and negative. You did not renounce your faith in me, even in the days of Antipas, my faithful witness, who was put to death in your city — where Satan lives. Nevertheless, I have a few things against you (Revelation 2:13-14). Jesus followed his commendation with a rebuke: the church had failed to reject the Nicolaitans, as well as teachings that were associated with Balaam. These false teachers led many into pagan revelry and immorality. And Christ warned that he would discipline the church if they didn't repent. The letter to the church in Thyatira appears in Revelation 2:18-29. Here, John described Jesus as a purifying fire, with eyes like blazing fire and feet like burnished bronze. This description relates directly to the letter's content, because the church at Thyatira needed to be refined and purified. I know your deeds, your love and faith, your service and perseverance, and that you are now doing more than you did at first. Nevertheless, I have this against you: You tolerate that woman Jezebel, who calls herself a prophetess. By her teaching she misleads my servants (Revelation 2:19-20). Unlike the church in Ephesus, the Thyatirans hadn't lost their first love for Christ. Instead, their love had actually increased. But they tolerated the false teaching of a particular woman, whom Jesus pejoratively called "Jezebel." Just like the infamous Queen Jezebel who appears in 1 and 2 Kings, this woman seduced people into sexual immorality and idolatry — two closely related practices among pagans in Asia Minor. Jesus warned this church to reject these false teachings and to remain faithful to him. The letter to the church at Sardis follows next, in Revelation 3:1-6. Here, John alluded to the seven manifestations of the Spirit and seven stars in Jesus' hand to remind the church at Sardis that Jesus had all power and authority. John drew attention to the authority of Jesus because his evaluation of this church was so severe. You have a reputation of being alive, but you are dead. Wake up! Strengthen what remains and is about to die, for I have not found your deeds complete in the sight of my God… [I]f you do not wake up, I will come like a thief (Revelation 3:1-3). The city of Sardis had a reputation as a strong fortress, but on two occasions it had been captured by surprise. And Jesus warned that he would do something similar to the church in Sardis if they failed to repent. He would come as a thief, attacking them by surprise. But for those who remained faithful to him, Christ promised purity, vindication, and reward. Jesus' letter to the church in Philadelphia appears in Revelation 3:7-13. In this letter, John introduced Jesus as the one who holds the key of David, meaning that Jesus can open the doors of David's kingdom to admit those he wishes, and lock the doors to keep others out. Jesus' words to this church were positive, but they also included an implicit warning. I have placed before you an open door that no one can shut. I know that you have little strength, yet you have kept my word and have not denied my name (Revelation 3:8). Christ had set before this church an open door, giving them an unobstructed opportunity to grow and develop spiritually. If they would take advantage of this open door, Christ would make their enemies bow down at their feet, and the Philadelphian believers would inherit the New Jerusalem. And God's name would be written on them, meaning that they would be his forever. But by implication, if they didn't take advantage of this opportunity, they wouldn't receive these blessings. Next, we find Jesus' letter to the church in Laodicea in Revelation 3:14-22. In this letter, John described Jesus as the one whose words are the ultimate Amen, that is, Jesus is the ultimate trustworthy authority. John also described Jesus as the faithful and true witness, and the ruler of God's creation. This description was designed to make the Laodicean believers pay attention, because their evaluation would be very negative. I know your deeds, that you are neither cold nor hot. I wish you were either one or the other! So, because you are lukewarm — neither hot nor cold — I am about to spit you out of my mouth (Revelation 3:15-16). Laodicea was a wealthy city located between the cities of Colossae and Hierapolis. Both Colossae and Hierapolis were well known for having special water supplies. Colossae had cool waters from mountain springs; Hierapolis had hot springs. Both of these waters were thought to have healing powers. But the water in Laodicea was lukewarm, without any healing powers. Jesus drew from these physical realities to make a spiritual point: the Laodicean church was wealthy, but their wealth had taken away their spiritual strength. This church needed to repent, or Jesus would reject them. Now that we've explored the vision of Christ, let's turn to John's vision of coming events, recorded in Revelation 4:1–16:21. According to Revelation 4:1-2, this vision takes place at the heavenly throne and reveals coming events that were still in the future in John's day. It addresses all of the churches together, and primarily focuses on the future as a great struggle between the forces of good and evil. This vision was designed to encourage John's original audience to remain faithful throughout their struggles against sin and Satan, because God's future victory was certain. The first thing we should note about John's vision of coming events is that it consists of four series of smaller visions: the seven seals, the seven trumpets, the seven histories, and the seven bowls. Some interpreters believe that these series should be read chronologically, as if they portrayed consecutive stages of history. But John never indicated that this was the case. For one thing, the temporal markers that link these series together — phrases like "after this" — refer to the order in which he was shown the visions, not to the order of the events revealed in the visions. For another, there appear to be a number of unique historical events in these visions that are mentioned in one or more series. For this reason, our lesson will adopt an interpretive perspective that has sometimes been called "recapitulation." Generally speaking, recapitulation happens when a later passage restates or repeats an earlier passage. As it applies to the book of Revelation, this term specifically refers to the idea that each series of visions describes the entire time period between the first and second comings of Christ, but with its own distinct details and emphases. Recapitulation is actually very common in biblical prophecy. Old Testament prophets frequently used this technique, describing the same series of events in different passages. Sometimes the recapitulation used very similar imagery, as in Jeremiah 30 and 31, where Jeremiah prophesied about the restoration of Israel. At other times, recapitulation used different imagery to describe the same events, as in Isaiah 9 and 11, where Isaiah talked about the coming of the Messiah. We see the same thing in the lawsuits God brought against Israel in Hosea 9–14. And there are many more examples, too. So, when John used this technique in the book of Revelation, he was using a well-known, traditional, biblical strategy to convey his message. There are a number of clues in the visions themselves that strongly suggest that John was describing the same sequence of events from different perspectives. For example, John's visions refer to what we would call the final judgment three different times. In Revelation 6:12-17, which is part of the vision of the seven seals, the sun turns black, the moon turns blood-red, the stars fall to the earth, and everyone on the earth hides from God's judgment. In Revelation 11:15, which is part of the vision of the seven trumpets, loud voices declare, "The kingdom of the world has become the kingdom of our Lord and of his Christ, and he will reign forever and ever!" In Revelation 15:1, which is part of the vision of the seven bowls, we're told that when the seven bowls are poured, God's wrath will be finished. Each of these passages describes events that are associated with the return of Christ and God's final judgment on the earth. But each series of visions also includes other details that seem to precede the final judgment. For this reason, it seems best to read each series of visions as a distinct description of the entire history of God's kingdom prior to Christ's return. Even though recapitulation is a widespread view among Evangelicals, it's important to recognize that some don't interpret the book of Revelation this way. So, in this lesson, we won't tie our interpretations too closely to the perspective of recapitulation. Even so, we should recognize that most Christian teachers believe it makes the best sense of the literary structure of John's vision of coming events, as well as of the content of those visions. As we've seen, John's vision of coming events divides into four major sections: the visions of the seven seals, the seven trumpets, the seven symbolic histories, and the seven bowls. We'll explore each series of visions, beginning with the seven seals in Revelation 4:1–8:1. The vision of the seven seals consists of two main parts, beginning with a description of God's heavenly throne room in Revelation 4 and 5. This section shows us an important scroll with seven seals, and sets the stage for the opening of those seals in chapters 6–8. Revelation 4:1:11 describes a scene in God's heavenly throne room, and resembles similar visions in Ezekiel 1, Isaiah 6, and other Old Testament passages. God was sitting on his throne, and was being worshiped by heavenly creatures — including four that John described in some detail. Each of the four was covered with eyes and had six wings. But they had different overall appearances: one resembled a lion, another an ox, another a man, and another an eagle. They probably represented all the creatures of the earth giving praise to God. John's vision also showed twenty-four elders surrounding God's throne, probably numbered according to the twelve tribes of Old Testament Israel and the twelve New Testament apostles. These elders symbolized the people of God throughout history. Whenever the four creatures praised God, the elders bowed down, acknowledging his majesty and authority, and promised him their submission, obedience, and reverence. Beyond the elders was a myriad of angels that extended the praise of God outward, and also praised the Lamb of God. This scene also contains many images from the Old Testament descriptions of the tabernacle and temple: lamps were blazing before the throne; incense depicted the prayers of God's people; there was a glass sea, more perfect than the bronze one in the Old Testament; and there were songs of praise like those offered by Levitical singers. This symbolism indicated that John was given a view of God's heavenly throne room, from which he rules over the entire universe and renders his judgments. And this told John's readers that the vision dealt with matters of great importance. The heavenly vision continued in Revelation 5:1-14. God held a scroll in his right hand, representing his plan for the destiny of the world. But none of the members of his court could open the scroll. In other words, none of them could accomplish his plan. Then one of the elders told John that the Lion of the tribe of Judah would open the seven seals and read the scroll. You are a lion's cub, O Judah … The scepter will not depart from Judah, nor the ruler's staff from between his feet, until he comes to whom it belongs and the obedience of the nations is his (Genesis 49:9-10). This prophecy indicated that Judah would rule over the tribes of Israel, and eventually produce a king that would rule the entire world. But when John looked, he was surprised to find that the Lion of Judah was actually a lamb, looking as if it had been slain. Of course, the Lamb was Christ. He is the descendant of Judah, the King of Israel. And he became the Passover Lamb who gave himself as an atoning sacrifice, just as we read in John 1:29. Jesus' ability to open the scroll indicated that he was the one through whom God would accomplish all his plans for the world. The second part of the vision of the seven seals is the opening of the seals themselves in Revelation 6:1–8:1. It presents the opening of six seals, followed by an interlude, and then the opening of the seventh seal. The first four seals released the well-known four horsemen of the Apocalypse that brought calamities on the world. The imagery of the four horsemen is drawn from Zechariah 6, where horses of the same colors are said to be the four spirits of heaven. When the first seal was opened, a rider on a white horse brought conquest to the nations. The second seal brought a rider on a fiery red horse, representing slaughter. War is the most obvious form of slaughter, but the picture is broad enough to encompass other forms of human killing, too. The third seal produced a rider on a black horse that represented famine. And the fourth seal brought a rider named Death, who rode a pale horse and represented death by sword, famine, plagues and wild beasts. As terrible as these calamities were, only a fourth of the earth was affected. Most escaped this part of God's judgment. When the fifth seal was opened, John saw a vision of Christian martyrs in heaven. These saints had been slain because they had remained faithful to God and his Word. They cried out for God to punish their murderers, but were told that God wouldn't bring all his justice to bear just yet. They would need to be patient, until the number of those who were to be martyred was complete. When the sixth seal was opened, the entire earth experienced God's judgment. There was an earthquake; the sun turned black; the moon turned blood red; the stars fell to earth; the sky retreated; and every mountain and island was removed. This description recalls Old Testament prophecies about political upheaval, like the ones we find in Isaiah 34:1-4 and Joel 2:10-11. It was a way of saying that God was bringing final judgment that would destroy the present evil world. Between the opening of the sixth and seventh seals, there is an interlude in Revelation 7. This interlude describes the church in ways that highlight God's protection of his people. First, John heard an announcement that 12,000 people from each of the twelve tribes of Israel — 144,000 people in total — had been sealed by God as his special people. Although this 144,000 has been understood in different ways, the text of Revelation says that John heard an announcement of 144,000, but when he turned and looked, he saw something quite different. There before me was a great multitude that no one could count, from every nation, tribe, people and language, standing before the throne and in front of the Lamb (Revelation 7:9). You'll recall that something similar happened in Revelation 5. John heard an announcement about a lion, then looked and saw a lamb. Well, something similar happened here. He heard an announcement about 144,000 Jews, then looked and saw an even larger crowd consisting of Jews and Gentiles together. In both cases, John heard words drawn from symbolism in the Old Testament — the lion and the tribes of Israel. But when he turned to look, what appeared was much greater than what had been announced. The symbolism of the lion was fulfilled in Christ, and the symbolism of the tribes was fulfilled in a great multitude of believers from every nation. After the interlude, the opening of the seventh seal is recorded in Revelation 8:1. But instead of a grand, climactic ending, there was simply silence. Creation stood in awe. The silence created dramatic tension for those who first read John's visions. What was this mysterious final stage of history? The answer to this question remained to be seen in the visions that followed. Now that we've explored the seven seals, let's turn our attention to the second series of visions regarding coming events: the seven trumpets in Revelation 8:2–11:19. The vision of the seven trumpets consists of a series of angels blowing trumpets. Each time a trumpet is blown, another judgment falls on the earth. It's important to see that the vision of seven trumpets is structured in a similarly to the vision of the seven seals. The vision presents six trumpets, followed by an interlude, and then the seventh trumpet. These trumpets recall the trumpets in Old Testament prophetic passages like Hosea 5:8, Joel 2:1, Amos 2:2 and Zechariah 9:14. They're trumpets that sound when God comes with his angelic armies, calling the heavenly host to war against God's enemies. The first four trumpet blasts in Revelation 8:2-13 signaled judgments through the angelic armies on the four major regions of creation. When the first trumpet was sounded, hail and fire mixed with blood was hurled on dry land. The second trumpet sounded and something like a huge mountain was thrown into the sea. The third trumpet sounded and a blazing star was thrown into fresh water sources, making them bitter and undrinkable. And with the sounding of the fourth trumpet, the sky was damaged; a third of the day and a third of the night were without light. But as bad as these judgments were, only a third of each region was destroyed. At the end of this section, though, an eagle warned that even worse judgments were coming. The fifth trumpet blast is recorded in Revelation 9:1-12. It set in motion an army of unnatural locusts. John described these locusts as horses prepared for battle, having crowns of gold, human faces, women's hair, lions' teeth, and tails like scorpions. But their power was limited. They could only wreak havoc on the earth for five months, and they were only permitted to attack the wicked. The sixth blast of a trumpet is recorded in Revelation 9:13-21. It released four angels from the Euphrates River, who proceeded to destroy a third of humanity. These first six trumpets are followed by a two-part interlude in Revelation 10:1–11:14. In a scenario that resembled God's revelation of judgment to Ezekiel in Ezekiel 2:9–3:9, John received a little scroll containing prophetic messages, and he was told to eat it. The scroll tasted as sweet as honey, probably representing the good news that God's plans for the world would be consummated without delay. But the scroll also turned his stomach sour, probably indicating that suffering would attend the consummation of God's plans. The second part of the interlude records John's vision of two witnesses who died for the sake of the gospel. They performed miracles, called people to repentance, and warned of coming judgment. But then they were slain by God's enemies. John's vision of the two witnesses highlighted the most fundamental conflict in history: the conflict between Jesus Christ and his enemies. The two witnesses were supremely powerful, but their opponents were extremely hostile and they murdered the witnesses. This stark contrast highlights the reality that there is no middle ground in the conflict between Jesus and his enemies. Every human being is either for Jesus or against Jesus. After the interlude, the seventh angel sounded the seventh trumpet in Revelation 11:15-19, closing this vision series. The seventh trumpet introduces the worship that will take place in God's throne room when his victory over all the kingdoms of earth is secure and when he renders his final judgment on all creation. Christ will return to renew the earth; his glory will be fully revealed; and God's reign will be fully manifested throughout all creation. The third series of visions dealing with coming events is the seven symbolic histories in Revelation 12:1–14:20. Structurally, the vision of the seven symbolic histories mirrors the visions of the seals and trumpets: the first six histories are grouped together, followed by an interlude, and then the seventh symbolic history. But while the visions of the seals and trumpets focused on divine judgments, the seven histories portrayed the spiritual conflict between Satan and the people of God. The histories in this series revolve around key symbolic characters: the woman, the dragon, the beast from the sea, the beast from the earth, the 144,000 believers, the angelic messengers, and the Son of Man. The first symbolic character is a pregnant woman clothed in the sun. Her history is found in Revelation 12:1-17, and resembles the birth of Jesus and Herod's attempt to kill him. The woman, who represents faithful Israel, gave birth to the Messiah, Jesus Christ. Her child was taken into heaven, which may refer to Christ's resurrection and ascension into heaven. But the woman remained on earth and was persecuted by a great dragon. God protected her so that the dragon couldn't defeat her, but she still suffered because of the conflict. This symbolic history represents the fact that Jesus descended from God's faithful people, and that true believers continue to suffer because of Satan and his kingdom. John's original audience would have understood that this conflict was at the root of their problems, and would have drawn encouragement from God's protection and care for the woman. At the same time, they would have understood their need to persevere, since the struggles wouldn't end any time soon. The next symbolic history revolves around a huge red dragon, and appears in Revelation 12:3-17. This history is presented simultaneously with the woman's history, but is identified in Revelation 12:3 as a separate sign. The dragon is described as enormous and red with seven heads and ten horns, and seven crowns on his heads. And in verse 9 he is identified as Satan himself. In John's vision, the dragon's tail swept a third of the stars from sky and flung them to the earth. This action may represent angels falling to become demons, or simply political upheaval as in Isaiah 34:4 and Mark 13:25. The dragon attacked the woman and her child, highlighting the intense struggle between Satan and God's people. In the dragon's history, there was also a war in heaven, in which Michael and the angels fought the dragon. Michael threw Satan and his angels down to the earth. Once cast to earth, Satan pursued the woman to persecute her. But God protected her, so Satan turned to attacking her offspring — believers who obey Christ and keep the testimony of Christ. This symbolic history would have helped John's readers understand that they were being persecuted because of Satan's hatred of God, and in the course of a spiritual war. Even so, Satan was already defeated, and the church would suffer persecution only until the dragon's limited time on earth was done. The third symbolic history revolves around the beast from the sea, and is found in Revelation 13:1-10. This beast had the characteristics of a lion, a bear, and a leopard, similar to the beasts in Daniel 7 that represented idolatrous kingdoms. This suggests that the beast from the sea symbolizes all the political powers that oppose the kingdom of Jesus Christ. John also wrote that the beast had a horrible scar from a prior wound that should have been fatal. The dragon gave the beast from the sea power and authority over all the kingdoms of the earth, and all the inhabitants of the earth worshiped the beast. He was even given power to make war against the saints and to conquer them. John's readers probably would have associated this beast with the Roman emperor or Empire, as well as with emperor worship. They would have seen the need to resist the beast, and to remain faithful to Christ. The fourth symbolic history centers on a second beast — one that rises from the earth. This history is found in Revelation 13:11-18. The beast from the earth had two horns like a lamb, but spoke like a dragon. It served the beast from the sea, and performed miraculous signs in order to make the world worship that other beast. It also forced people to receive the sign of the beast on their right hand or forehead. Together, both beasts attempted to conquer the entire world. John's readers would likely have connected this second beast with the Roman civic cult that coerced emperor worship, threatening to kill those who refused to worship the emperor. Like the history of the beast from the sea, this one would have exhorted them to resist idolatry and to be faithful to Jesus. The fifth symbolic history deals with 144,000 believers that belong to God, and appears in Revelation 14:1-5. Based on the fact that God's name is sealed on their foreheads, they appear to be the same group mentioned in Revelation 7:1-8. The seal of God's name on their foreheads contrasts with the mark the beast on the foreheads of those that obey the beast of the earth. In John's vision, these 144,000 believers stood with the Lamb on Mount Zion praising God. This symbolic history assured John's readers that true believers will ultimately escape the dragon and the beasts and receive God's blessing. Despite intense persecution, faithful believers will be found pure and blameless. The sixth symbolic history is a vision of three angelic messengers, found in Revelation 14:6-11. In John's vision, the first angel proclaimed the eternal gospel, calling all people to fear God and worship him. The second angel announced the Fall of Babylon the Great, the capital city of those who oppose the kingdom of Jesus Christ. And the third angel declared the final judgment of everyone that followed and worshiped the beast. These messengers communicated that Christ's gospel will triumph over every opposing kingdom, and that when Jesus returns his enemies will be eternally condemned. John's description of these angelic messengers should have encouraged his readers that, even though it sometimes looks like the church is being defeated, Christ's kingdom will eventually conquer his adversaries. And if any of John's readers were considering worshiping the emperor in order to avoid persecution, this history would have warned them to resist that temptation. After the angelic messengers, John included a short interlude in Revelation 14:12-13. In this interlude, John exhorted God's people to persevere — to resist the idolatrous culture around them. And voices from heaven proclaimed that those who remained faithful would ultimately receive God's blessing and rest. The last symbolic history describes one "like a son of man," who sits on a white cloud and comes to reap his harvest. His history is found in Revelation 14:14-20. The phrase "like a son of man" is also used in Revelation 1:13, where it specifically refers to Jesus. And it's clear from the actions and context of Revelation 14 that this son of man is also Christ. The imagery in this history is drawn from Daniel 7:13, where one "like a son of man" comes on the clouds in order to enter God's heavenly court. In the first history of this series, the history of the woman, Jesus was pictured as a child that was taken up into heaven. But at the culmination of these histories, Jesus was pictured as the Son of Man reaping his harvest of faithful followers as one would harvest grain. Then a second reaper — this one an angel — harvested the remaining inhabitants of the world and crushed out their blood in the winepress of God's wrath. This vision declared the ultimate future victory of Jesus. It showed that history is moving toward a grand climax, where those who are faithful to Jesus will be vindicated, but those who aren't will be destroyed. John's original readers should have found this encouraging. They would have recognized that their suffering wasn't worth comparing to the wrath God would pour out on his enemies. And they would have drawn hope and confidence from the fact that they would eventually be vindicated and blessed. From the vision series of the symbolic histories, John's original readers should have been reminded that Christ had already defeated Satan on the cross. And since Satan had failed to defeat Christ in his first coming, believers could have every confidence that Satan would fail this time too. Eventually, Christ would return and destroy Satan and his beasts. And in the meantime, believers suffered persecution only as a result of their defeated enemy's dying gasps. Now that we've surveyed the seven seals, the seven trumpets and the seven symbolic histories, let's turn to the fourth series of visions about coming events: the seven bowls of God's wrath in Revelation 15 and 16. The vision of the seven bowls presents seven angels that pour out seven golden bowls of God's wrath against the wicked. This vision follows the same structure as the visions of the seals, trumpets and histories: six bowls are followed by an interlude, and then the seventh bowl is poured out. And there are also other parallels worth noting. For instance, like the first four trumpets, the first four bowls devastated the four major regions of the world: dry land, sea, fresh water, and sky. But while the judgments of the trumpets affected only a third of the earth, the bowls affected the entire world. The first bowl inflicted a plague of painful sores on all those who had the mark of the beast and worshiped his name. The second bowl turned the sea to blood. The third bowl turned the fresh water of the rivers and springs to blood. And the fourth bowl created scorching heat from the sun. Despite these devastating plagues, the people cursed God and refused to repent. The fifth bowl was poured out on the throne of the beast. From Revelation 13, it seems clear that this beast is the beast from the sea, whose rule was supported by the beast from the earth. This bowl plunged the beast's kingdom into darkness, but its followers still cursed God and refused to repent. When the sixth bowl was poured out, it dried up the Euphrates River, clearing a path for the kings from the East to invade God's Promised Land. According to Revelation 16:16, a decisive battle between the kings of the east and God's people would be fought at Armageddon or the Mount of Megiddo. In ancient Israel, Megiddo was a key city along a major trade route between the kingdoms of Mesopotamia and Egypt. Huge armies could assemble in the neighboring Jezreel Valley, or as it's sometimes called, the Plain of Esdraelon. And God's people had previously achieved military victories in Megiddo. So, it was a fitting symbol to describe the climactic battle between God's servants and his enemies. Behold, I come like a thief! Blessed is he who stays awake and keeps his clothes with him, so that he may not go naked and be shamefully exposed (Revelation 16:15). Recalling his letter to the church in Sardis in Revelation 3, Christ exhorted his followers to remain vigilant and faithful at all times. After the interlude, the seventh bowl triggered the final destruction of the wicked. Thunder and lightning rained down. An earthquake shattered the cities of the nations. Islands sank. Mountains crumbled. And giant hailstones crushed humanity. This was the end of the age — the destruction of the present world that will take place when Christ returns. The series of seven bowls completed John's vision of coming events. The seals, trumpets, histories and bowls all demonstrated God's commitment to intervene in history to ensure the safety and blessing of his people. In John's day, the Roman Empire seemed invulnerable to the churches of Asia Minor. And many modern enemies of the church can seem equally powerful. But God is determined to destroy his enemies and our enemies. And this should encourage every Christian in every age to remain faithful to Christ, even when we face severe opposition and oppression. Now that we've examined John's first and second visions, let's turn to his vision of the punishment of the great prostitute in Revelation 17:1–21:8. This vision takes place in the desert. According to Revelation 17:1, this entire vision focuses on the punishment of the great prostitute, including the return of Christ, a final battle in which the forces of evil are completely defeated, the reign of those who are loyal to Christ, and the final renewal of the heavens and the earth. John designed this section to draw his audience's attention to the final blessings for those who were faithful to Christ, and to the ultimate curses that would fall on those who weren't. This twofold focus should have inspired his readers to seek God's blessings and to avoid his judgment. There are two smaller series of visions within the vision of the punishment of the great prostitute. The first deals with God's judgment on Babylon, and the second focuses on the reign of the saints. We'll look at both series, beginning with the judgment of Babylon in Revelation 17:1–19:21. Like John's visions of the seals, trumpets, histories and bowls, his visions dealing with the judgment of Babylon also recapitulate church history. In Revelation 17:1-6, the city of Babylon is presented as a prostitute. She's dressed in alluring clothes, and she glitters with gold, precious stones, and pearls. Her appearance and prostitution are symbolic of all the illicit pleasures that seduce God's people away from true worship and faithful living. But significantly, she appears in the desert, implying that she can't deliver on her offers of luxury and pleasure. And to confirm this fact, she holds a cup filled with abominable things and the filth of her adulteries. The prostitute also sits on a scarlet beast that has seven heads and ten horns. This is the beast from the sea described in Revelation 13. It's covered with blasphemous names, symbolizing its own wickedness and the idolatry of those who follow it. The significance of the imagery of the prostitute and beast is then revealed in the rest of the series. Like the earlier series of the seals, trumpets, histories and bowls, the structure of this series presents six messages of judgment and lament, followed by an interlude. But instead of a seventh message describing the final fight between Christ and his enemies, this series ends with a vision of the battle itself. The first message, found in Revelation 17:7-18, interprets the details of the vision of the prostitute and the beast. We can summarize this message by saying that God will completely destroy everyone and everything that opposes him. The second message, in Revelation 18:1-3, declares the utter defeat of Babylon and all the nations, kings and merchants she has seduced. The third message, recorded in Revelation 18:4-8, calls God's people to reject Babylon, and to separate themselves from her immorality. And the fourth message, reported in Revelation 18:9-20, contains three laments of kings, merchants and sailors who had worshiped the beast and profited from the luxury of Babylon. Sadly, these laments didn't inspire repentance and faith in Christ. Instead, the kings, merchants and sailors looked back longingly to the earlier time of Babylon's prosperity. In each of these messages, Babylon represents every nation and organization that opposes Christ's rule. The messages encourage Christ's followers by proclaiming that the Lord will destroy all his enemies, and that the wicked will mourn the loss of their sinful enjoyments. But the messages also warn the church not to commit these same sins, so that we don't fall under the same judgment. The fifth message in the judgment on Babylon appears in Revelation 18:21-24, and pronounces the complete and permanent destruction of Babylon. The sixth message in this series is recorded in Revelation in 19:1-8, and contains the exuberant praise of God's people in heaven. In response to the judgment against Babylon, God's faithful people praise him. And their praise continues as they recognize that the judgment against Babylon has cleared the way for the wedding between the Lamb, who is Christ, as his bride, the church. Next, an interlude interrupts the messages in Revelation 19:9-10. In this interlude, John is commanded to write down a blessing for all those who participate in the wedding supper of the Lamb. The beast was captured, and with him the false prophet who had performed the miraculous signs on his behalf… The two of them were thrown alive into the fiery lake of burning sulfur (Revelation 19:20). The final battle concludes all the wars God has waged on behalf of his people, and completes the victory Christ won on the cross. Now that we've explored the judgment on Babylon, let's examine the series dealing with the reign of the saints in Revelation 20:1–21:8. This series on the reign of the saints includes three parts, beginning with the thousand year reign of the saints, commonly called the millennium, in Revelation 20:1-10. In this section, John saw an angel descend from heaven and bind the great dragon, who is Satan. John saw that for the next thousand years, Satan would remain bound while the faithful Christian martyrs would come to life and reign with Christ. John also saw that after the thousand years, Satan would be released to gather the nations for the final battle against God, as described in Revelation 19. At the end of this battle, all God's enemies will have been permanently destroyed. Even Satan himself will be thrown into the lake of burning sulfur forever. Most interpreters recognize that, like the rest of John's apocalyptic prophecy, Revelation 20 is highly symbolic. And believers interpret its symbols in a wide variety of ways. In fact, in the entire book of Revelation, it would be hard to find a more debated passage than this one. Broadly speaking, there are four major schools of interpretation for this passage. Each one is named in part after its understanding of the millennium or thousand years mentioned throughout this passage. These four schools of interpretation are: historic premillennialism, dispensational premillennialism, postmillennialism, and amillennialism. Historic premillennialism and dispensational premillennialism are both premillennial systems, meaning that they believe Jesus will return before the millennium starts. By contrast, postmillennialism and amillennialism are both postmillennial systems, meaning that they believe that Jesus will return after the millennium ends. Let's look at each of these systems in a bit more detail. Historic premillennialism is called "historic" because it's the premillennial view that has been held by different groups and theologians throughout church history. It teaches that after Jesus returns, Satan will be bound and Jesus will usher in the millennium — a thousand-year period of earthly peace and prosperity. Believers will receive resurrected bodies at the beginning of the millennium. Unbelievers won't receive resurrected bodies. They'll live longer lives than they do now but they will still die. When the millennium ends, Satan's rebellion will take place, followed by the final judgment. And then God's eternal reign over the new heavens and new earth will begin. This view understands Revelation 20 to follow chronologically after chapter 19. Dispensational premillennialism began to be taught in the 1830s. There are variations within this view, especially with regard to the timing of the final events before the millennium. But in general, Dispensational premillennialism teaches that when Jesus returns, he will restore the nation of Israel and visibly reign over the nations from his throne in Jerusalem. Near the end of the millennium, Satan will instigate a rebellion, but God will completely defeat Satan and his armies. Afterwards, the last judgment will take place, and then God's eternal reign over the new heavens and new earth will begin. Like historic premillennialism, this view understands Revelation 20 to follow chronologically after chapter 19. In contrast with historic and dispensational premillennialism, postmillennialism teaches that Jesus will return after the millennium. The millennium itself is thought to be either the entire period between the first and second comings of Christ, or the last thousand years before his return. In either case, during the millennium Jesus rules from heaven through his earthly church. And his kingdom progressively expands to cover and improve the entire earth. Amillennialism literally means "no millennium." It takes its name from the fact that it denies that the millennium is a literal thousand years. It teaches that the millennium consists of Jesus' reign over the earth, from his throne in heaven and through his church; and that Jesus will return at the end of the millennium. Amillennialism is distinct from postmillennialism in a variety of ways. For one thing, all forms of amillennialism affirm that the millennium is the entire period between the first and second comings of Christ. For another, amillennialism doesn't insist that the millennial reign of Jesus and the saints will constantly expand the kingdom and improve the world. From an amillennial perspective, Christians will experience both the blessings of the kingdom of God and great tribulation on earth until final victory is achieved at Christ's return. It's important for followers of Christ to recognize that evangelical believers don't always agree, and that the question of the millennium has historically been an area of controversy. But regardless of which millennial interpretation we take, all evangelical Christians can agree that Christ will return and achieve final victory over evil, that Satan will ultimately be defeated, and that God's people will live forever under Christ's reign in a restored creation. We all share these same convictions. And as a result, we can all find great comfort and encouragement in the Bible's teaching about the millennium. The second part of the series on the reign of the saints deals with the last judgment on God's enemies, in Revelation 20:11-15. In this part of his vision, John witnessed God rendering final judgment on all humanity, based on their works. This judgment included everyone who had ever lived. Believers, whose names were written in the book of life, were spared God's terrible wrath. But the rest of humanity was condemned for their sins. This aspect of the last judgment completely removed the presence and effects of sin in the world, making way for the new heavens and the new earth. Finally, the third part of the series on the reign of the saints focuses on the last judgment for God's people, in Revelation 21:1-8. John saw that the last judgment for God's people would be a great blessing. The heavens and earth would be remade, and a New Jerusalem would descend from heaven as the capital city of the new earth. This symbolism points to the fact that in the new heavens and new earth, God will dwell among his people. God did this in the past in the Garden of Eden, in the tabernacle, and in the temple. And now he dwells with us in Christ. But in the new heavens and new earth, our fellowship with God will be even greater, because he'll manifest his glory among us, and we'll live in his physical presence forever. Having surveyed John's vision of the punishment of the prostitute, let's move to his vision of the wife of the Lamb. This vision is recorded in Revelation 21:9–22:5. In his fourth vision, John was lifted onto a high mountain. According to Revelation 21:9, this vision concerned the bride, the wife of the Lamb, which was the New Jerusalem. This vision described the never-ending beauty, peace, health, prosperity and enjoyment that will exist after the world has been cleansed from the influence and presence of all God's enemies. And when John's original audience read about it, they would have been encouraged to pursue God's blessings by living according to its ideals, and looking forward to the fullness of salvation that will come when Christ returns. The New Jerusalem is described in Revelation 21:9-27. It was prepared in heaven, and then brought to the new earth. The city was shaped as a perfect cube. In the Old Testament, the Most Holy Places in the tabernacle and the temple were also cubes. Correspondingly, just as God manifested his holy presence in the Most Holy Places, he'll reveal his glory to his people in the New Jerusalem. Both the dimensions and descriptions of the New Jerusalem frequently mention the number twelve. In the Old Testament, this number is associated with the twelve tribes of Israel, representing God's people in that age. And in the New Testament, the number twelve is associated with the twelve apostles, representing God's people in the current age. This suggests that in the New Jerusalem, God's people are present in all their diversity and distinctive cultures. Within the New Jerusalem, the river of life flowed from God's throne through the middle of the city. It nourished the tree of life, whose leaves brought healing to all the nations. This symbolized the fact that in the new earth, the curse of sin will be eradicated from creation. The entire world will be fully renewed and healed from all the conflicts with sin that have plagued fallen human throughout our history. Finally, John saw that the New Jerusalem shone with the glory of God. The jewels and precious stones of the city reflected his richness, beauty and splendor. And beyond this, God's splendor filled the city, so that it didn't need other sources of light — including a sun or moon. Now that we've examined John's introduction to Revelation and his series of heavenly visions, let's turn to the book's conclusion in Revelation 22:6-21. John concluded the book of Revelation by emphasizing the fundamental messages that had been repeated throughout his visions. He emphasized that the visions he received were trustworthy, because they had been delivered by the Lord's angel. He exhorted his readers to persevere in good works, in order to receive great blessings in the new heavens and new earth. And John also reminded his readers that the consummation of God's kingdom and the final judgment are still in the future. So for now, Christians should faithfully persevere, and sinners should take the opportunity to repent. Revelation is a timeless message from God to his people. Regardless of our perspective on the timings and fulfillments of John's visions, all Christians should agree that the book of Revelation is as relevant today as it was when John wrote it. Our circumstance may be different, but our God hasn't changed. And the values and perspectives John taught are still binding on us today. We can be encouraged by God's goodness in the past, present, and future. We can be confident in his love for us and his control over history. And we can respond to him in faith now and for the rest of our lives. Having discussed the purpose and details of the book of Revelation, we're ready to address our third major topic: strategies for the application of Revelation. Our discussion of the modern application of Revelation will divide into two parts. First, we'll describe and critique four common strategies for applying the book of Revelation. And second, we'll suggest an integrated strategy that makes use of elements from all four common strategies. Let's look first at the four common strategies for applying Revelation. The first thing we should say is that each of these four strategies has something very useful to offer, but none of them is entirely sufficient on its own. The situation is reminiscent of the old story of the blind men and the elephant, where each blind man describes the part of the elephant he is touching, but none sees the whole elephant. This story exists in different versions in different cultures. One man might touch the elephant's leg and believe the elephant is like a pillar. One might touch its ear and believe the elephant is like a hand fan. One might touch its tail and think the elephant is like a rope. One might touch its trunk and conclude that the elephant is like a waterspout. And so on. All of them are correct insofar as their assessment goes, but none sees the whole elephant. In a similar way, there are many popular but insufficient strategies for interpreting the book of Revelation. Each strategy examines the symbols in Revelation and decodes them according to its own perspective. But because these perspectives are so limited, each view misses the big picture and full meaning that the visions of Revelation present. The four common strategies for application that we'll survey in this lesson can be referred to as preterism, futurism, historicism, and idealism. Each differs in how it interprets the period of time the book of Revelation covers, and the manner in which its visions are fulfilled. We'll consider all four views individually, beginning with preterism. The word "preterite" refers to things that happened in the past. Accordingly, the strategy of preterism says that most of the prophecies in the book of Revelation were fulfilled in the distant past. One form of preterism says that Revelation was written prior to the Fall of Jerusalem in A.D. 70, and that most of its prophecies were fulfilled by that time. Another form suggests that these visions were fulfilled in the Fall of the Roman Empire in the fifth century A.D.
Preterism provides a helpful focus on John's original audience. It sees the importance of the detailed knowledge of the seven churches in Revelation 2 and 3. It reminds us of the real persecution those churches experienced. And it makes thematic connections between chapters 2 and 3 and the rest of the book. Preterism rightfully insists that John wasn't merely writing for future generations, and that Christ's concern for and encouragement of John's original audience should inform our modern application of the book. And most forms of preterism rightly understand that the final chapters of Revelation speak about Christ's future return. We can draw many useful applications from this approach to Revelation. For instance, it can teach us about God's character, and the way he rewards righteousness and punishes evil. It can help us understand how to respond to crises in our world, and even give us hope in Christ's future return. But despite these valuable insights, preterism doesn't provide a complete perspective on Revelation. For one thing, it often wrongly assumes that apocalyptic literature is written exclusively about its own time, rather than about the distant future. But the truth is that numerous apocalyptic passages in the Scriptures refer to distant future events, including Daniel 7–12, Matthew 24, and 2 Thessalonians 1 and 2. Similarly, preterism is too narrow in its interpretation of temporal statements like "the time is near" in Revelation 1:1-3, and again at the end of Revelation in 22:10. Preterism insists that statements like these don't refer to the whole period of time between the first and second comings of Christ — even though that time lies "just before" the final judgment. Moreover, preterism doesn't normally acknowledge that this timeline might be modified by historical contingencies. As a result, it tends to ignore distant future fulfillments and to look for fulfillments only in the context of the original audience. By the nature of its interpretation of Revelation, preterism has little to say about the development of God's kingdom since the first century. It doesn't prepare Christians throughout history for the ways most of the prophecies of Revelation might be fulfilled in their own lifetimes. It doesn't even create an expectation of continued martyrdom and continual opposition. In these and other ways, preterism doesn't give us the full range of application the book of Revelation has to offer. With this understanding of preterism in mind, let's turn to futurism. Futurism is the view that the visions in Revelation won't begin to be fulfilled until the final crisis immediately preceding the second coming of Christ. Like preterism, futurism has insights to share. It correctly says that Revelation looks forward, above all, to the great events of Jesus Christ's return. We see this central concern in passages like Revelation 22:20. Futurism also rightly looks for a future day of final judgment, and the eventual restoration of all creation that is confirmed in other parts of Scripture, such as Romans 8:19-25. These interpretations can be applied in many useful ways. They give us hope in Christ's future return, judgment, and renewal of the creation. And they encourage Christians in all periods of history to watch for this time. But despite these valuable contributions, futurism overlooks the ways the book of Revelation spoke to its original audience. In fact, it tends to downplay applications by generations other than the last generation before Christ returns — even though John mentioned seven ancient churches by name, and addressed each of them specifically. It would be difficult for the seven churches mentioned in chapters 2 and 3 to believe that this book wasn't written with their situation in mind. In this way, futurism tends to make the book of Revelation appear largely irrelevant to most audiences throughout history. Now that we've examined preterism and futurism, let's look at the third common strategy for application, which we've called historicism. Historicism assumes that the visions of Revelation offer a chronological outline of the course of church history from the first century until the second coming. Historicism typically says that: Revelation 2–12 relate to events in the first few centuries; 13–17 relate to the Protestant Reformation; and chapters 18–22 relate to the events surrounding the second coming. Historicism offers several valuable insights. It correctly sees that Revelation begins with the situation of the seven churches. It also correctly associates the ending scenes of Revelation with the second coming. And it rightly notices that Revelation moves toward a climax — that a drama develops as we read through the book. Historicism recognizes that the book of Revelation is intended for the church in all ages. It encourages us to persevere until Jesus returns, and to affirm that at that time he'll renew the heavens and the earth. And it reminds us that God's in control of history, and that his plan can't fail to come to completion. But historicism is problematic in other ways. For one thing, it assumes that all the prophecies in Revelation are strictly chronological. It fills in the gaps between the early church, the Reformation, and return of Christ by stretching a time line from the first century to the last, and correlating the visions in between with events of world history. But as we saw earlier in this lesson, the structure of the book of Revelation isn't strictly chronological. This can give Christians a false sense of where they are in redemptive history, sometimes inclining them to inappropriate pessimism, and sometimes to inappropriate optimism. It can even produce a sense that we can't deviate from the timeline perceived in Revelation, as if our own actions are incapable of moving God to pity or anger, and incapable of changing the apparent course of history. A second problem with historicism is its dependence on the Protestant Reformation as a key point in the history of Christ's worldwide church. Historicism tends to ignore the global Church, often limiting John's prophecies to events within Western Christianity — and sometimes even more narrowly to events within European Christianity. This orientation wrongly downplays the role of the church in other parts of the world. And this can be very discouraging. It can cause believers to think that their actions are insignificant, and take away an important motive for pursuing the continual growth of God's kingdom throughout the entire world. Having looked at preterism, futurism and historicism, let's turn our attention to the fourth common strategy for application: idealism. Instead of claiming that Revelation depicts events from one time period or another, idealism holds that the scenes in Revelation depict general patterns of spiritual war, not specific events or chronologies. Like the other common strategies, idealism provides some valuable insight. It acknowledges the thematic arrangement of some prophecies in the book of Revelation. And it highlights the fact that Satan's methods are fundamentally consistent throughout history, making them rather predictable. Idealism also tends to recognize the general New Testament pattern of inaugurated eschatology that we discussed earlier in this series. And it emphasizes the application of Revelation to our modern situation by generalizing beyond the particular circumstances of the first century and the final crisis. These insights increase our ability to read and to use Revelation as John intended. They help us focus on God's character, and on the nature of his dealings with the world. They prepare us to live for him in all periods of history, and to hope in Christ's eventual return. But idealism also has shortcomings. Perhaps the most obvious is that it fails to identify any of the symbols of Revelation with historical events. At the very least, John's original audience needed his apocalypse to help them uncover the meaning of events that were taking place in their time. And the book of Revelation was explicitly designed to provide this kind of insight, claiming several times that God was revealing to John a way of understanding what "must soon take place." We see this in the beginning of the book, in Revelation 1:1, as well as near the end in 22:6. As we read in Revelation 22:6. The Lord, the God of the spirits of the prophets, sent his angel to show his servants the things that must soon take place (Revelation 22:6). Verses like this should make it clear that the book of Revelation is directly concerned with many real events that take place in the natural world. But idealism discourages us from drawing this type of legitimate application from these passages. Now that we've looked at four common strategies for interpreting and applying the book of Revelation to modern life, we're ready to suggest an integrated strategy. Our integrated strategy begins by recognizing that preterism, futurism, historicism and idealism all make useful contributions to our understanding of the modern impact of Revelation. So, rather than completely disregard these strategies, our integrated strategy combines the valuable insights of each of these views, while at the same time avoiding their shortcomings. We agree with preterism that the prophecies of Revelation were relevant to the seven churches of Asia Minor that first received the book. But we also agree with futurism that some of Revelation's prophecies spoke about the events surrounding Christ's return and the final judgment. And we agree with historicism that God controls all of history, moving it towards a climax in Christ's return. And we agree with idealism that the satanic forces of evil symbolized in the book of Revelation still tempt us to compromise our faith. 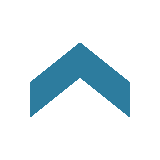 We might summarize the integrated strategy of application as consisting of two parts or steps. First, we use every available means to discern principles and truths in the book of Revelation. Those might be truths about God's character, truths about his interaction with the world, truths about our obligations before him, truths about the course of history, or anything else John taught in the book of Revelation. And second, we look for parallels between the circumstances of John's original audience and the circumstances of our own lives. And those parallels guide our application. The first step of discerning principles and truths in Revelation can be very complex, since the book teaches so many ideas. So, it will be helpful for us to mention on some of the more important themes John emphasized. These themes are easy to apply to modern life in relevant ways. For example, we can look at the fact that Christ's life, death, resurrection, and heavenly reign have made him worthy of all worship. We can also focus on the idea that Christ's complete victory over evil is certain, and that his kingdom will never end. We can stand against the satanic forces at work in this world that might try to trick us into worshiping them, knowing that they enslave and curse their followers rather than bless them. And we can remember that those who are faithful to Christ in this life will receive glorious rewards in the next life. We can be motivated to persevere under hardship, knowing that the persecution we endure pales in comparison to the God's wrath against his enemies. We can take comfort in the fact that God's faithful people will be protected from his terrible judgment. And we can draw hope from the knowledge that one day the curse of sin will be eradicated from this world, and God will dwell with his people in perfect peace and righteousness. And in the meantime, we can be confident that God will bless the continued witness of the church, and that he'll use it bring more people to faith in him. The second step of finding similarities between John's original audience and today's audience can also be complex, since there are so many details to consider. So, it can help to have a responsible strategy for making these connections. Besides the multitude of smaller similarities we can find between ourselves and John's original audience, there are at least three prominent similarities that can help guide our application. First, the same God that ruled creation in the first century still rules the world today. He still controls history. He still protects his people. He still answers prayer. And he still deserves our loyalty, thanks and praise. Second, the same fallen, sinful world that troubled the churches in Asia Minor continues to trouble Christians today. We still face spiritual forces of evil. We still suffer hardship caused by events in nature. We still fight against disease and hunger. And third, human beings are still the same, too. We're still sinners that need redemption, healing, and a restored relationship with God. Similarities like these make the book of Revelation just as relevant today as it was in the first century. In many different ways, the book of Revelation gives hope to all Christians in every age. Its messages are timeless, always relevant, and just as powerful for us as they were for the seven churches in Asia Minor. Revelation can encourage us to remain faithful to Christ in every circumstance. And it can give us hope for the future. No matter how bad our lives sometimes look, we really are on the winning side. And this hope can sustain us, because we know that one day Christ will return to bless us as the heirs and rulers of his perfect, permanent new creation. In this lesson, we've examined the purpose of the book of Revelation in terms of its offers of blessings and threats of curses; we've surveyed the details of its content; and we've considered its modern application by looking at some common strategies, and a more integrated strategy for application. Throughout this lesson, we've seen that Revelation assures us of God's final victory, encourages our perseverance, and increases our longing for Christ's return. Our future blessing is certain. And it can give us comfort and determination when we're tempted or even persecuted. God never intended this book to divide Christians over our theological differences. He intended it to encourage every believer in every age to live in faithful obedience to him, and to hope in the glorious return of our Savior, Jesus Christ. Dr. Thomas R. Schreiner is the James Buchanan Harrison Professor of New Testament Interpretation and Associate Dean of Scripture and Interpretation at The Southern Baptist Theological Seminary.